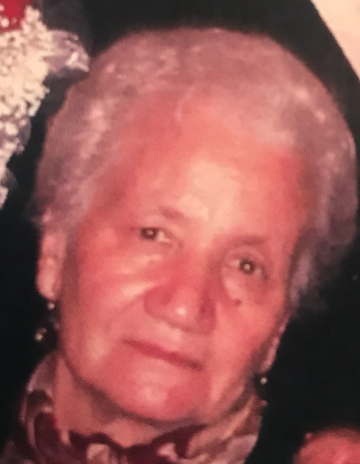 Raffaella Curzio, a resident of Mount Vernon passed away peacefully on February 1, 2019. Raffaella was born in Teggiano, Italy on July 20, 1932. She married Vincio Curzio in May of 1951. They immigrated to America and arrived on July 23, 1952. Raffaella was a seamstress by trade and a proud member of The International Ladies Garment Workers Union (ILGWU). She retired in 1997 after a career of more than 30 years. Raffaella was a devoted wife, mother, grandma and sister. She was a devout Catholic and attended mass daily at Our Lady of Victory Church. Raffaella was an active senior and could be seen daily walking throughout Mount Vernon shopping and attending mass. Raffaella loved to cook traditional meals and was known for her “soup” and her “panettone”. She had a very strong work ethic (never missing a day of work) and instilled this in her children. Raffaella is predeceased by her husband Vincio. Loving mother of Francesco and Modesta (Robert); cherished grandma of Samantha; dear sister of Rosa, Concetta and Angela. Family will honor Raffaella’s life on Tuesday February 5, 2019 from 2:00 - 4:00 pm and 7:00 – 9:00 pm at Yannantuono Burr Davis Sharpe Funeral Home, 584 Gramatan Ave, Mt. Vernon, NY. Funeral Mass 10:00 am Wednesday February 6, 2019 at Our Lady of Victory Church, Mt Vernon. Interment at Ferncliff Cemetery.